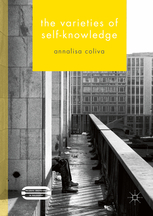 Today's post is by Annalisa Coliva on her new book The Varieties of Self-Knowledge. I am Professor of Philosophy at the University of California, Irvine. 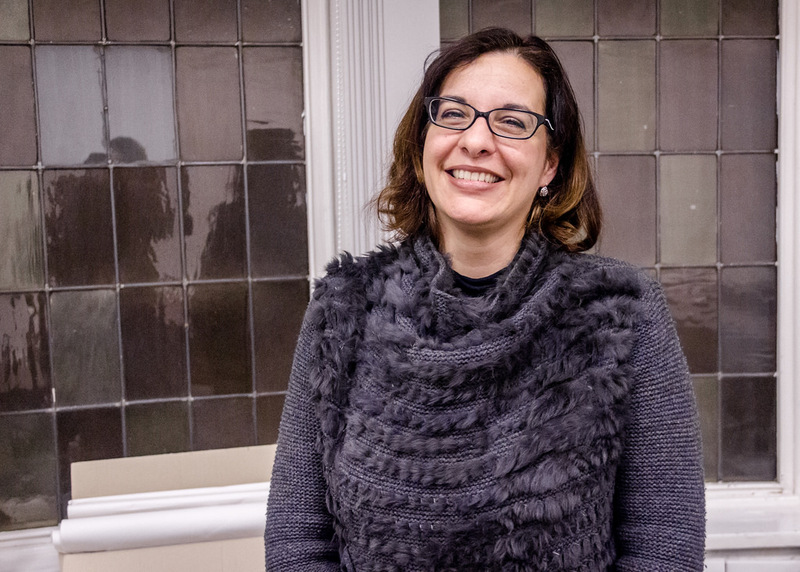 My main interests lie in epistemology, philosophy of mind and the history of analytic philosophy. The Varieties of Self-Knowledge (Palgrave 2016) is a sustained defence of pluralism about self-knowledge. I argue that, contrary to what behaviourists, several cognitive scientists, theory-theorists and inferential theorists have maintained in the last seventy years or so, there is an asymmetry between first- and third-personal self-knowledge. Hence, empirical studies that tend to show that we can be mistaken about, or ignorant of several mental states of ours do not in fact impugn the existence of first-personal self-knowledge. Rather, they show that the scope of first-personal self-knowledge is more limited than philosophers have thought. Hence, in many cases, we do know our own mental states in a third-personal way. That is to say, we know our own dispositional mental states and character traits based on third-personal methods. By contrast, when we do know our occurrent phenomenal mental states, but also our intentions, passing thoughts, basic emotions, perceptions and commissive propositional attitudes, we know them in a distinctively first-personal way. Hence, in my view, both first- and third-personal self-knowledge are philosophically interesting and in need of explanation. In particular, it should be recognized that the ways we gain third-personal self-knowledge are many and diverse. There is not just inference to the best explanation, starting with the observation of our own overt linguistic and non-linguistic behaviour and further inner promptings. There is also inductive inference, simulation, inferential conceptual deployment (or “hermeneutics”) and—last but not least—testimony. Indeed, we can get to know some of our dispositional psychological properties by trusting what other people tell us about ourselves. Or else, we can get to know some of our dispositional psychological properties by simulating being in a given situation. Some other times, thanks to newly acquired concepts, we manage to subsume some patterns of behaviour and other inner promptings under those concepts, thus affecting an understanding of ourselves, which can bring about a “switch of aspects”—that is to say, we can actually “see” ourselves differently. In all these cases, self-knowledge is a genuinely epistemic achievement, which could have gone wrong in a number of ways, without thereby impugning a subject’s conceptual competence or rationality. By contrast, first-personal self-knowledge is characterized by groundlessness, transparency and authority. Groundlessness amounts to the idea that the relevant psychological self-ascriptions are based neither on inference, nor on observation of our own mental states. Transparency amounts to the idea that, in suitable conditions and for subjects endowed with the relevant psychological concepts, if they undergo one of these mental states, they are immediately in a position to judge that they do. Authority, then, consists in the idea that, in suitable conditions, if subjects who master the relevant psychological concepts judge they have one of these mental states, they do. Furthermore, I argue that groundlessness, transparency and authority are necessary and a priori features of what goes by the name of first-personal self-knowledge and that failures at it would display either a lack of the relevant concepts or else some kind of deep irrationality. After showing the pitfalls of various recent broadly epistemic theories, I put forward a nuanced constitutive account of first-personal self-knowledge. The resulting picture of human self-knowledge is thus quite multifaceted, but hopefully more truthful to the complexity of our minds and of our ways of knowing it.